Several weeks ago I compiled a list of ten of the most underrated 2D platformers of the past 20 years. Now, I'd like to delve into the third dimension, talking about those underrated 3D platformers. Because the genre isn't as well cultivated or as rich with games as the 2D platforming genre, I won't be designating a specific time period this time around. 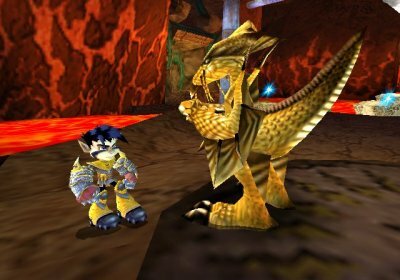 From well known franchises with under-appreciated entries to one-off games that don't get their rightful due, this list of ten underrated 3D platformers should have something for every jump and run fan. 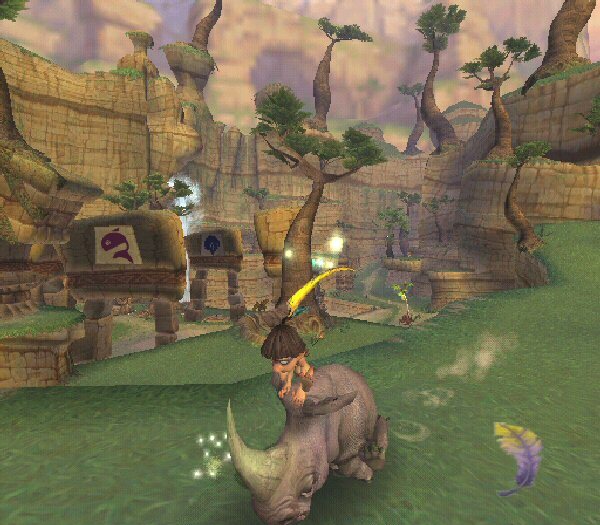 We kick off this countdown of underrated 3D platformers with a game that spawned a Nickelodeon television series and some sequels. However, Tak and the Power of Juju is still quite underrated and for some, unheard of completely. This colorful 3D platformer has you using a creative ability: the ability to interact with different animals to progress in the game. For instance, orangutans can influence trees to bend backwards and spring Tak forward to reach otherwise inaccessible places. Tak and the Power of Juju isn't perfect, but it's a wildly interesting and clever 3D platformer that isn't just for kids, albeit it's definitely meant for that demographic. 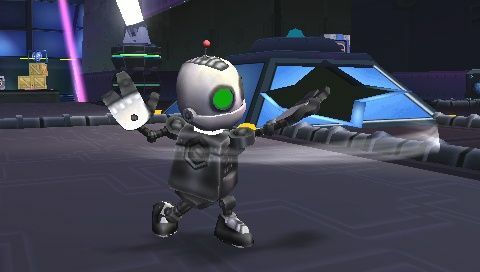 The name's Clank... Secret Agent Clank. 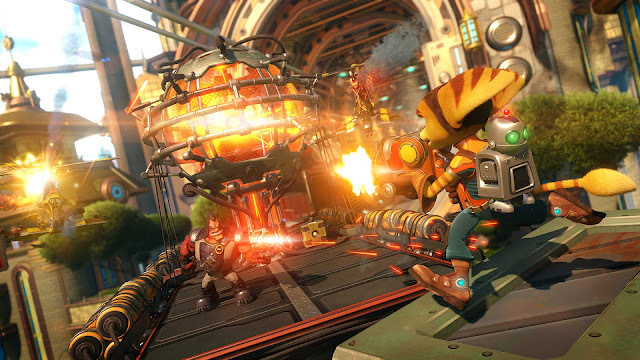 Join Ratchet's faithful friend Clank on a mission to clear Ratchet's name after he's caught stealing a precious gem from a museum. 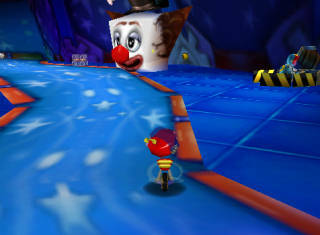 The game focuses on three different characters, offering different gameplay experiences. 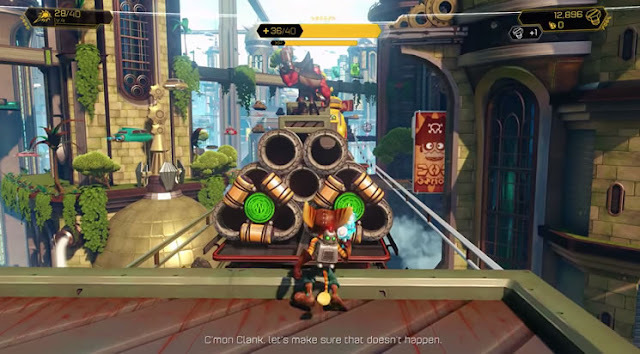 Whether it's Clank's platforming and stealth-based gameplay, Ratchet's arena-based combat, or Captain Qwark's atypical action scenarios, the variety in Secret Agent Clank is immense, and it all equals a secret mission that is definitely worth participating in, regardless of which version you play, home console or portable. The famed duo returns again in this originally PSP-exclusive title. 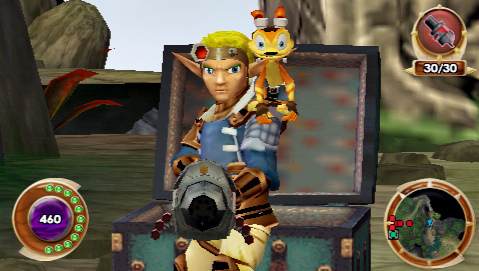 Jak and Daxter: The Lost Frontier has a combination of gun-toting goodness and platforming-based gameplay that all adds up to a worthwhile adventure. 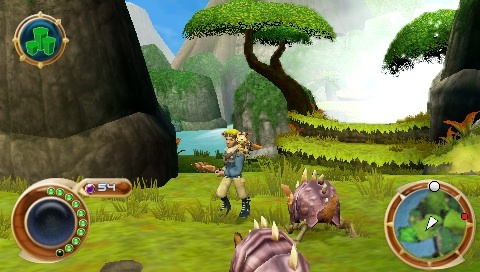 When the world's eco supply is shrinking down to nothing, Jak and his comedic relief Daxter head out to see what the problem is. 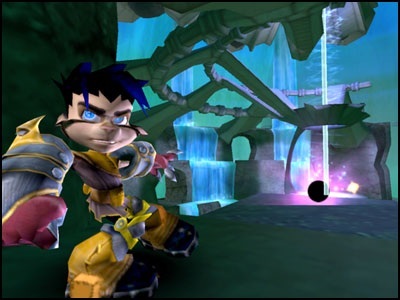 Like Secret Agent Clank, The Lost Frontier features three types of gameplay: Jak and Daxter together, special Were-Daxter levels, and ship-based combat. 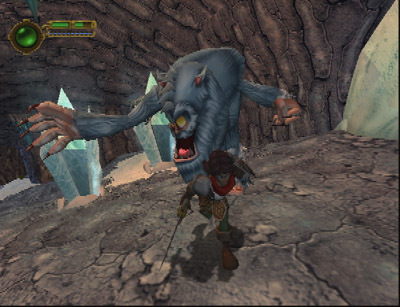 While The Lost Frontier doesn't reach the same highs as Naughty Dog's works, the game is quite the fun distraction for PSP and PS2 owners itching for an engaging 3D platformer. A mix between the action-adventure genre and the platformer, Maximo: Ghosts to Glory expands on Capcom's famous and well known Ghosts 'n' Goblins series with this enjoying 3D romp. Ghosts to Glory takes the series into 3D territory with running, jumping, crouching, and hacking and slash zombies, skeletons, and so much more. However, enemies just won't stand there while you slice them up. No, they'll attack our hero as well, having him lose pieces of armor with each attack until he's in nothing but those iconic heart-filled boxer shorts! A difficult game that stays true to the Ghosts 'n' Goblins name, Maximo: Ghosts to Glory is a fantastic take on the formula Capcom had created so many decades ago. 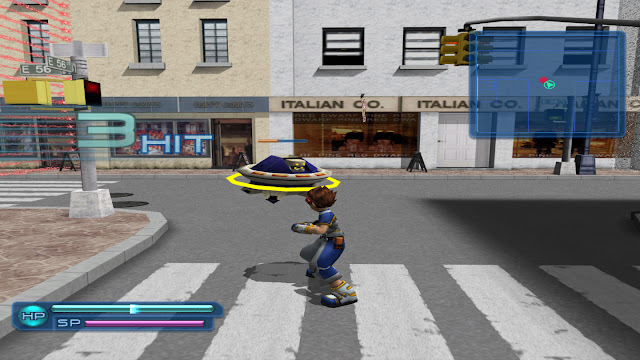 Generally it's the first Ape Escape from the original PlayStation and then ported to the PSP that gets the most attention from fans. 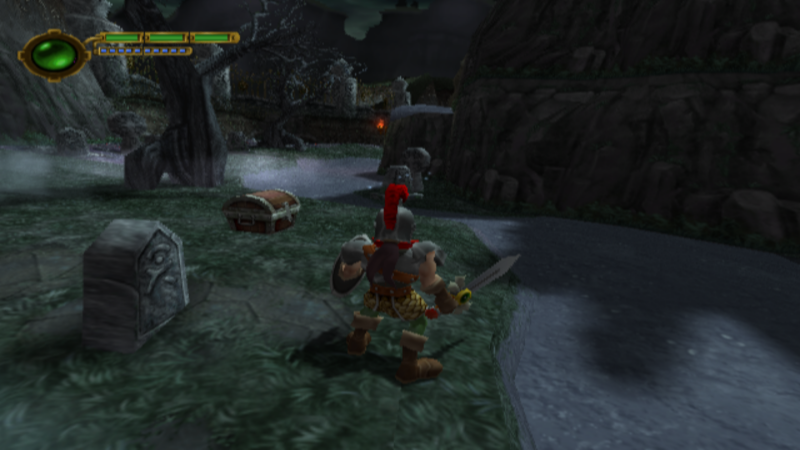 It's understandable, as the game introduced the concept of dual analog gameplay to the PS1. 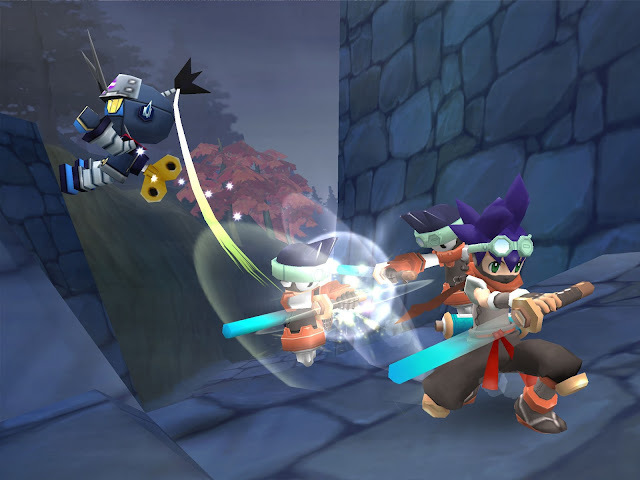 However, the late release on the PS2, Ape Escape 3, delivers a lot of excellence and good times as well, regardless of whether or not it's as revolutionary as the original. 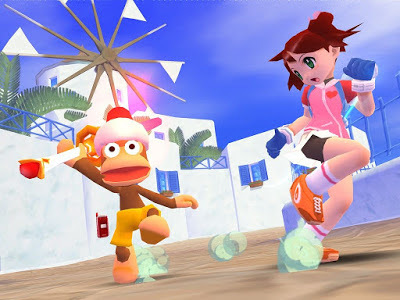 The goal of Ape Escape 3 is the same: move through mostly nonlinear levels, catching monkeys through a variety of means. This time around, our heroes can transform into one of many powerful forms, able to hunt down and capture monkeys much more easily. Add in a Metal Gear Solid spoof that is its own mini-game, and you have a title that is perfect to monkey around with. 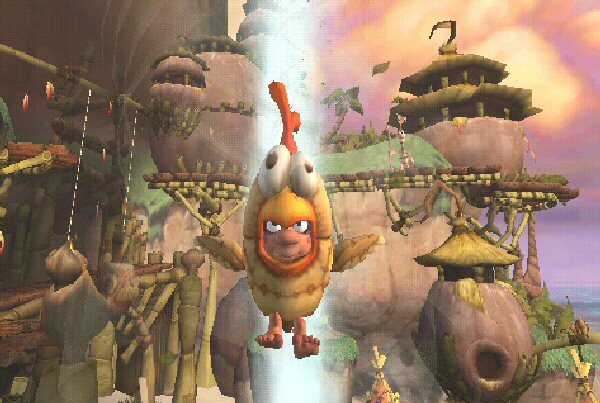 This next game on the list is here because it's one of the least talked about entries in the Rayman series. 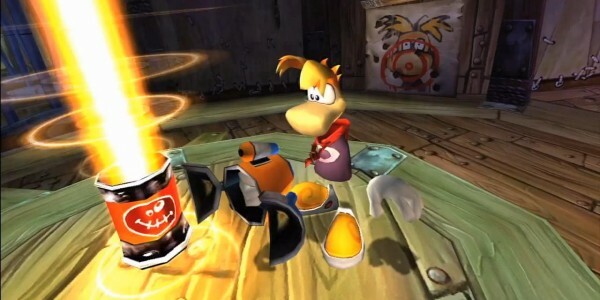 Generally, fans relish the good times they had with Rayman 2, one of the most endearing 3D platformers ever created, or they talk about the more recent 2D outings with Rayman Origins and Legends. 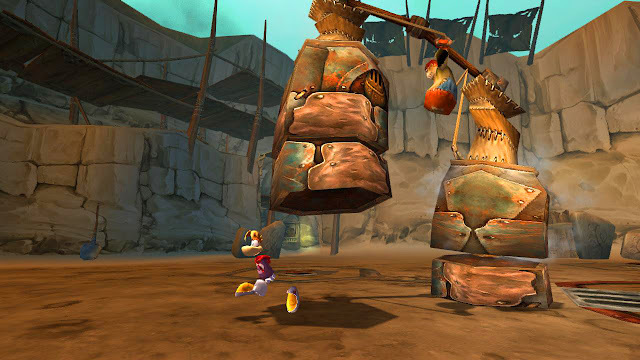 However, Rayman 3: Hoodlum Havoc, while not as important to the history of the Rayman franchise, offers so much stellar gameplay that it's definitely worth talking about. A colorful adventure that features Rayman and friends, Hoodlum Havoc plays just as well as its predecessor, this time offering five different, albeit temporary power-ups to enhance Rayman's arsenal of moves. Those evil Black Lums won't know what hit them when Rayman's through with them! 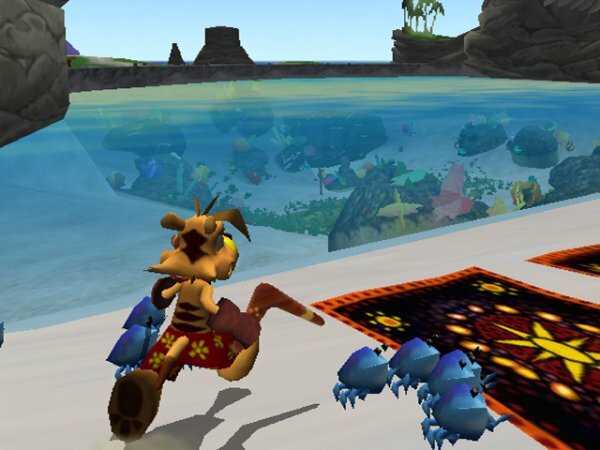 On his journey to collect the Thunder Eggs in order to free his family from another dimension, Ty the Tasmanian Tiger uses his boomerangs to defeat foes and solve environmental puzzles. 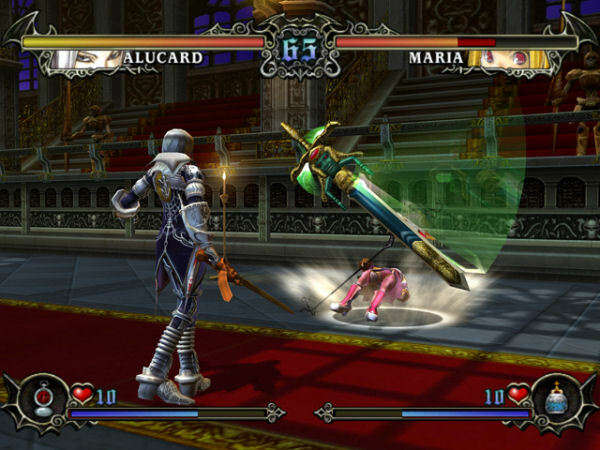 The game features a multitude of expansive stages that are a pure delight to explore. Thunder Eggs are essentially the Power Stars of Super Mario 64 that grant him access to new levels and are acquired by completing various in-level tasks like saving five of a specific animal or maneuvering Ty's way through a platforming obstacle course of some sort. 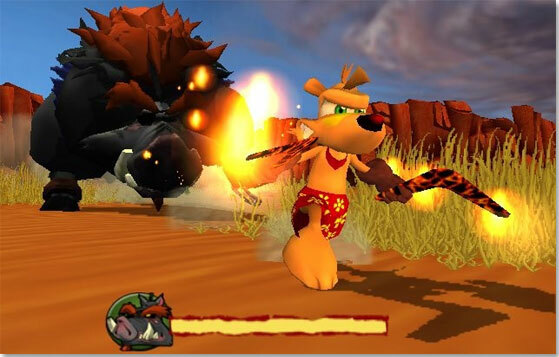 With different powered boomerangs such as ones that are lit on fire, ones that electrocute foes, and the like, Ty is one mighty Tasmanian tiger that is a force to be reckoned with. While this next game on the list has an edgier feel to it, don't let that fool you. Despite its darker appearance (whether needless or not), Vexx for the sixth generation of gaming consoles is one seriously fun and well made 3D platformer. The main goal of our titular hero is to gather magical hearts in order to unlock new worlds to explore. Equipped with powerful war talons as his main means of attacking foes up close and personal, Vexx can also use these to swim underwater as well as occasionally take to the skies, Banjo-Kazooie style. If you can get beyond the edgy appearance of Vexx, you'll find a very capable and tight-controlling platformer that is more than worth sinking your teeth into. Developed by the team that would go on to create the Sly Cooper and inFamous franchises, Rocket: Robot on Wheels might not be as well known as your Super Mario 64's and your Banjo-Kazooie's, but it's quite the terrific 3D platformer. The levels are sprawling and a blast to explore, the challenges and tasks to acquire the tickets needed to learn new moves and reach new levels are varied and fun, and the gameplay itself, having you control different vehicles to solve physics-based puzzles is enjoyable (Rocket was one of the first games with its own realistic physics system to influence gameplay), and the level design is terrific. 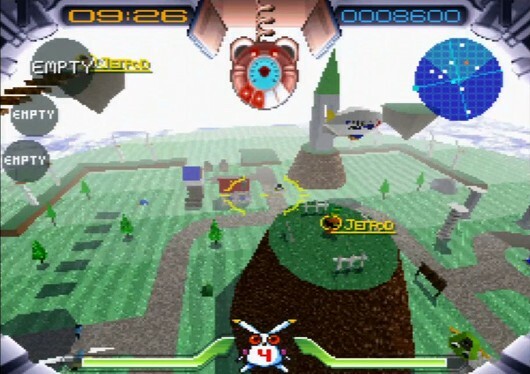 Rocket: Robot on Wheels is one of many Nintendo 64 era 3D platformers that could be on this list, but Rocket is the one that plays the best. Given the accolade by Guinness for being "the first platform video game in 3D", Jumping Flash! is quite the interesting game. It's a first-person perspective 3D platformer that has you leaping around levels searching for missing jet pods that have been strewn around the game's levels by Jumping Flash's antagonist. Our hero Robbit can leap while in mid-air up to three times, granting players the ability to reach high up platforms and areas. While in mid-air, the camera looks downward towards the ground, giving players the ability to see where they're going to land, a great implementation to make sure players land where they want to, especially considering the first-person perspective. 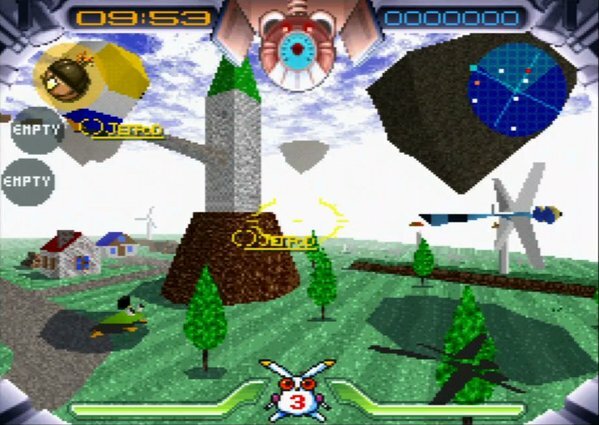 Despite being one of the most important games in the 3D platforming genre, Jumping Flash! isn't well known or much talked about. A shame, considering how influential the game was and still is to this day. Maybe some of these franchises should stick to what they know. Because when they don't, we get some of the worst gaming spinoffs in gaming history. That's what this top ten today is all about-- those gaming spinoffs that had their hearts in the right place, but god knows where the hell the developers' brains were. After you've scoped out these ten terrible spinoffs, why not sound off on which ones you dislike the most! For a more positive top ten list, check out SPC's look at the top ten greatest gaming spinoffs! 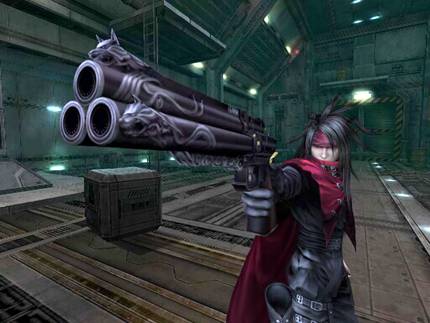 Take what is most arguably the most popular Final Fantasy game, make a shooter set three years after the game, throw in Vincent Valentine as the protagonist, and you have an intriguing game on your hands in theory. In reality, Dirge of Cerberus: Final Fantasy VII reeks of poor enemy AI, lackluster level design, a copious amount of cutscenes, and overall relatively tame gameplay that does little to fulfill players. While the scope of the story is no doubt impressive, the overall game doesn't do much to excite or impress. 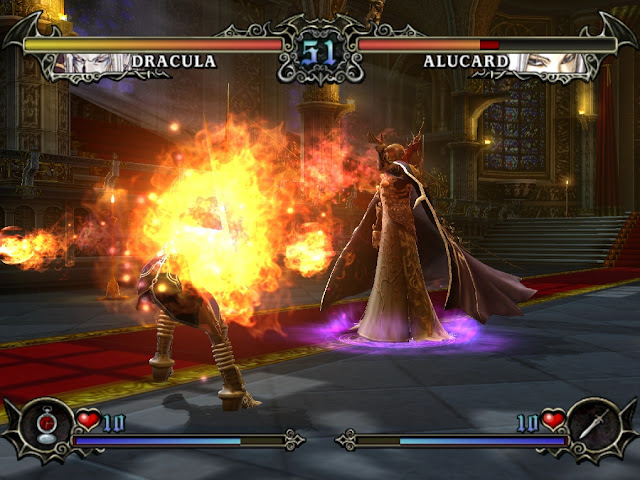 Another instance of a franchise that is well known for one genre and put in a totally different genre, Castlevania Judgment is the Castlevania series's jump into the fighting genre with 14 playable characters spanning across the series's history. 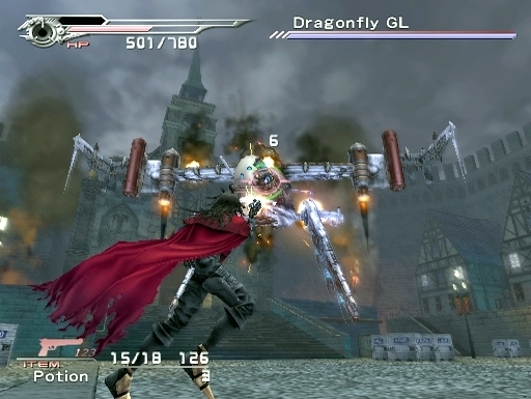 This 3D fighter faltered in both gameplay and presentation, offering a disorienting camera, really poor controls, extreme imbalance regarding the characters, and an art direction that felt more like Death Note than Castlevania (makes sense considering the character artist behind the game did do Death Note). Although some things like the visuals outside of the character designs and remixed music present are worth noting, everything else in Castlevania Judgment made players feel cursed, and it's a horrible game to have a curse. A spinoff of Sega's venerable Virtua Fighter franchise, Virtua Quest has really nothing to do with the franchise other than taking part of its name and having brief encounters with Virtua Fighter's cast. Unlike the game it is a spinoff of, Virtua Quest is as shallow as shallow gets. Its two button fighting system belies no complexity whatsoever, and the brainless AI and enemies that you'll stumble across in the various virtual worlds do little to challenge players. The icing on this very bitter-tasting cake is a story that is full of cliches and characters that are highly annoying. While it was appreciative that Sega wanted to do more with the Virtua Fighter series and branch out, Virtua Quest is nothing but a strong contender for greatest gaming spinoff disappointment. 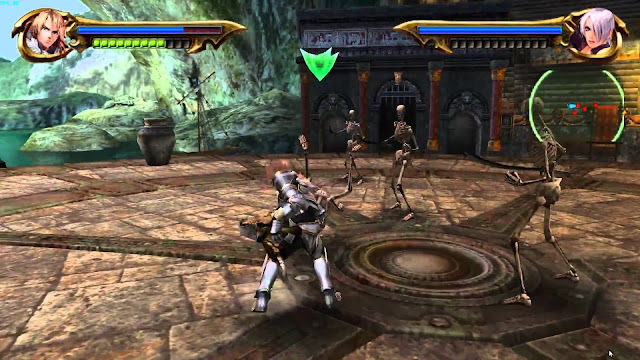 The opposite of Castlevania Judgment, taking a fighting game series and putting it in action-adventure clothes, SoulCalibur Legends is a game that will give most players the fear of getting carpal tunnel, between madly shaking the Wii Remote and mashing the same button over and over again. 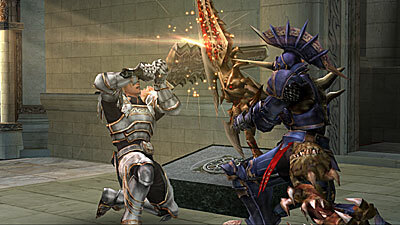 Unlike the line of games it's a spinoff of, SoulCalibur Legends has little depth to it. Sure, there are means to try to freshen up the experience through the use of basic environmental puzzles to solve, but the action is just too repetitive and too dull to generate much excitement. The addition of multiplayer is a lovely touch, but when the game is so basic, you'll want to go back to the nineties and play brawlers that have more depth than SoulCalibur Legends. If you can't beat 'em, join 'em. That must have been the route Sega took, as it took Sonic and friends into a Mario Party-esque board and mini-game collection with the Dreamcast's Sonic Shuffle. Right away you can tell that the game sports a very pleasing to the eye cel-shaded style, a popular visual style of the generation. Then, you get into actually playing the game, and any good will from Sonic Shuffle is blown away, like golden rings ejecting from Sonic when he takes damage. 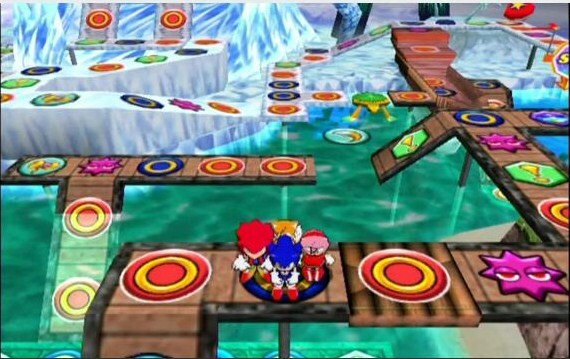 From the mostly inane and boring mini-games that take too long to finish for the most part to the amazingly long, torturous load times, Sonic Shuffle is one surefire way to ruin a party that will make players prefer to play the worst Mario Party game than this board game abomination. 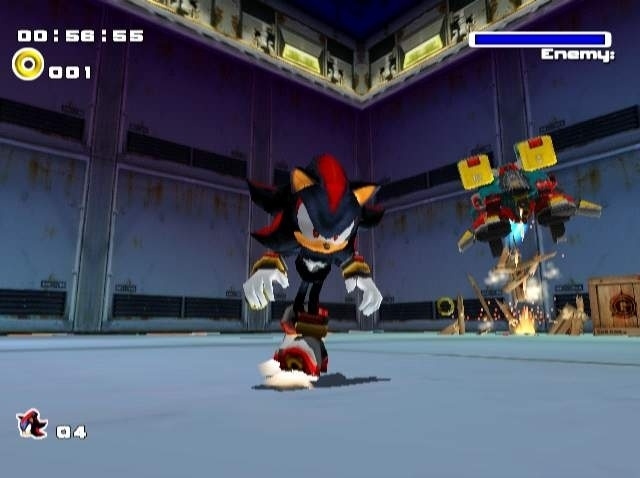 Still one of the most laughable attempts at trying to be darken it up in a video game franchise I've ever witnessed, Shadow the Hedgehog suffers from the same problems that some of the worst 3D Sonic games suffer from, as well a bunch of new additions. The inclusion of guns make for a totally tone-deaf experience, as does the needless cursing such as when Shadow searches for that "damn fourth Chaos Emerald". On top of all that, common problems with the 3D Sonic games arise, such as a poor and maddening camera system, a deluge of bugs and glitches, and some poor collision detection. Having multiple endings is a nice touch, but considering there really is but one true canonical ending, it makes the need to play through the game about ten times seem worthless. And that's what Shadow the Hedgehog essentially is, a worthless spinoff that hilariously takes itself way too seriously. The immensely popular Pokemon series has seen a robust lineup of spinoffs, both good and bad. 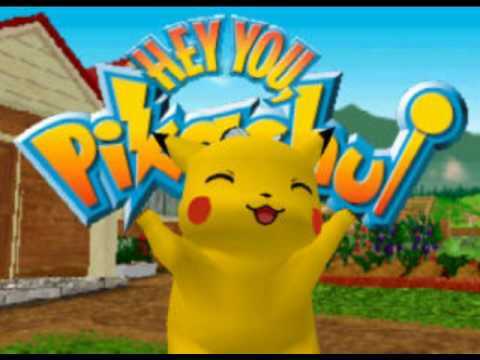 The Nintendo 64 release, Hey You, Pikachu! is one of the latter. Using a voice-recognition software via a microphone peripheral that came with the game, Hey You, Pikachu! has users talking into the device to interact with the lovable Pikachu. At least, that's the intent of the game when the microphone actually works. You see, the peripheral was intended to be used mostly by children, thus it really only consistently picks up voices that are high pitched. 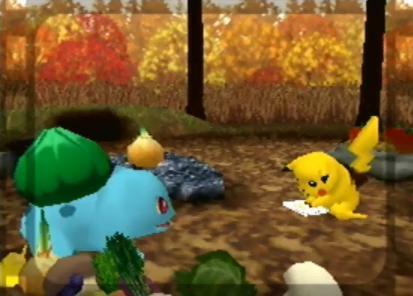 Throw in the lack of things to do with your Pikachu pal, and you have a game that is a frustrating experience and one that was simply not worth the exorbitant price tag that Nintendo expected N64 users to shell out... or in most cases, have their mothers and/or fathers shell out. This poor spinoff example shows that you can have a horrible spinoff but still sell really well. 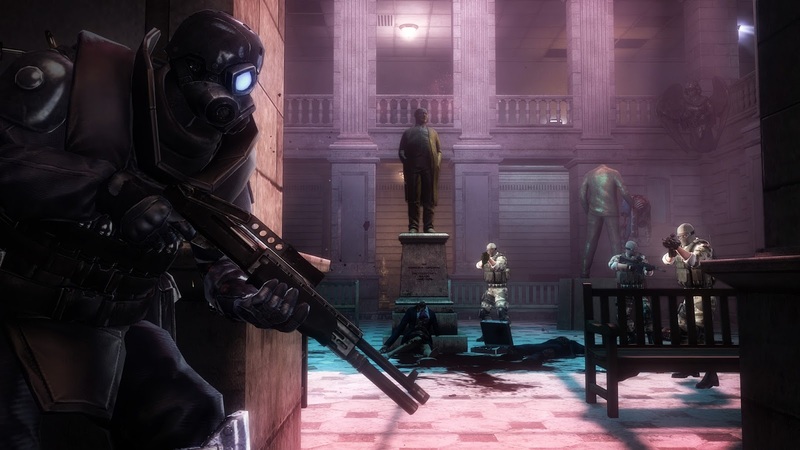 Resident Evil: Operation Raccoon City might have been an incredibly awful shooter with poor handling, lackluster controls, horrific enemy AI, ridiculously bad level and mission design, and myriad technical issues, but that doesn't stop it from selling two million copies. Of course, for someone who can easily become jaded like myself, this didn't help my view of the industry or the need for publishers to attach a popular IP to a wickedly bad game just to get sales, whether or not it would hurt said IP in the long run. 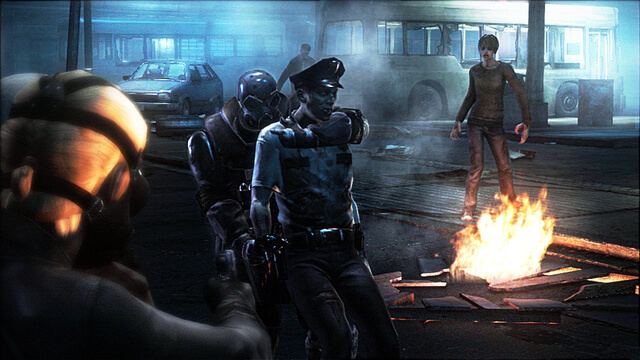 Really, it might be less painful to have an onslaught of zombies feed upon your flesh than play Operation Raccoon City. Okay, I'm being hyperbolic here, but it's a bad game and a bad spinoff, which is what you should take away from this. Once again an example of taking a franchise known for one genre and putting it into another, Street Fighter 2010: The Final Fight is an NES game from 1990 that left behind the fighting game genre and leaped into the action platforming genre. It starred Ken, a favorite from the franchise, but this time he was in the form of a cyborg cop. Well, at least that's who it was in the localized version. In Japan, the cyborg was just a guy named Kevin. Anyway, okay, that's not too bad, but where Street Fighter 2010: The Final Fighter falters is in its massive difficulty. This would be fine if it wasn't an artificial difficulty, generated from its utterly unresponsive controls and poor design. The game is not just a bastardization of the Street Fighter name, but it's just an entirely bad game in general. What would have been next if this game had seen a sequel-- Ryu as the reincarnation of a Hellhound? Any one of the trio of atrocious Legend of Zelda offshoots created for the Phillips CD-I system could be listed here as the number one wretched gaming spinoff, but let's just choose Zelda: The Wand of Gamelon just to save time here. When Nintendo neglected to have Phillips designed a CD add-on to the Super Nintendo, Phillips gained the opportunity to use some of Nintendo's properties for their new CD-I system. These games are well known for being wretched entries in their respective franchises, and it says something that they're but a distant memory compared to the wild successes that the franchises nowadays still are. 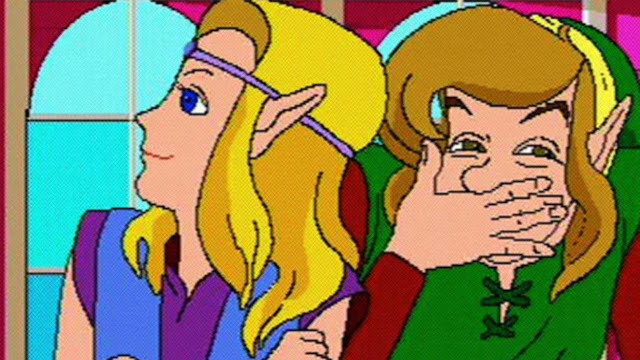 Possessing laughable presentations, poor gameplay, short adventures with no replay value, and an abundance of other hilariously awful design decisions and implementations, the trio of horrible Zelda games, Zelda: The Wand of Gamelon included, are without question in my mind the worst gaming spinoffs of all time. One of the longest running segments in SuperPhillip Central's nearly eight-year history returns with five more fabulous levels that feature memorable settings, impressive set pieces, and just plain creative design. From a journey to one of Ratchet & Clank's latest game's early planets to a galactic dogfight between Corneria's and Andross's forces in Star Fox Zero, this seventeenth edition of Best Levels in Gaming History has got the goods. Check out past volumes of this popular SPC segment with the following links! Let's start off this seventeenth edition of Best Levels in Gaming History with a popular place in the Ratchet & Clank series, Planet Kerwan. 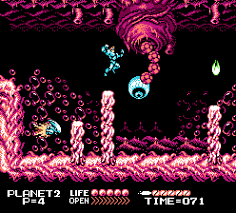 This planet's levels in the series generally take place in a sprawling metropolis, and this hasn't changed with the latest entry in the franchise on the PlayStation 4. Planet Kerwan is a marvelous level that in this reboot of the Ratchet & Clank franchise features gun-toting action and platforming goodness atop crowded and busy city rooftops. From dropships raining in foes from above to robotic dogs that wish nothing but to chew into Ratchet, the amount of targets ready to be destroyed is quite high. However, before you can get to the traditional ground combat the Ratchet & Clank series does so well, Planet Kerwan in this new Ratchet & Clank gives the lombax/robot duo the opportunity to take to the skies in a ship to shoot down crucial enemy targets. It's a lot of fun riding through the busy city skies, trailing enemies and then blasting them out of the sky. Being a retelling of the original Ratchet & Clank, this PS4 entry possesses some familiar set pieces to the original, such as taking a ride on a Gravtrain, blasting away at foes in a much more impressive display than what was seen in the original. The train's destination is the Hall of Heroes, having Ratchet dodge enemy shots while unleashing shots of his own. It's a wild ride from beginning to end. The amount of gameplay variety in Planet Kerwan treats players to a copious offering of fun and lightning fast action, as well as a taste of what to expect from this fantastic re-imagining. 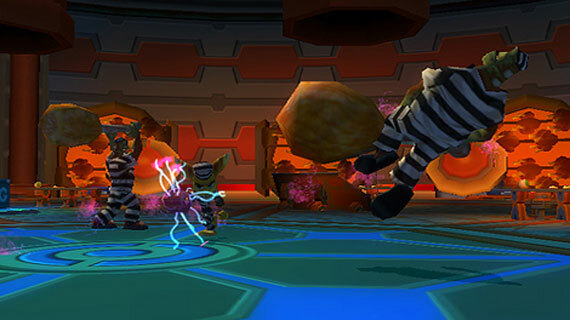 From flying the unfriendly Kerwan skies to hitching a ride on the dangerous Gravtrain, Planet Kerwan is a great level near the start of Ratchet and Clank's amazing adventure. An optional level in Super Mario 3D World, Mount Must Dash (get it? Mustache?) 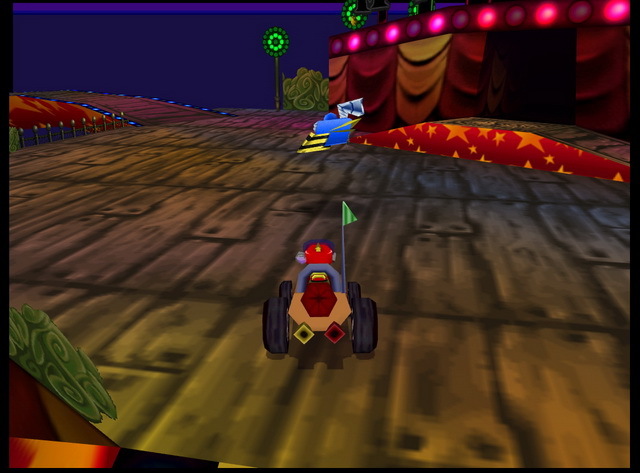 is an ode to very first Super Mario Kart on the Super Nintendo, using a remixed theme of Mario Circuit from that game, as well as a visual style reminiscent of Mario's first raceway. It even has a starting line with a banner to kick things off. 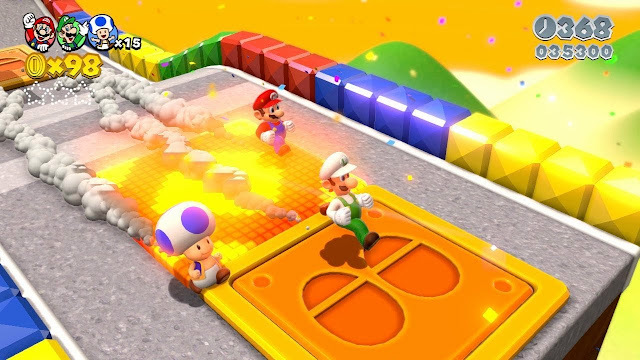 The level itself constantly encourages you to be on the run, whether it's through its many boost pads and bounce pads that shoot Mario and friends up over chasms and gaps, or its slide that occurs in the second area of the level. 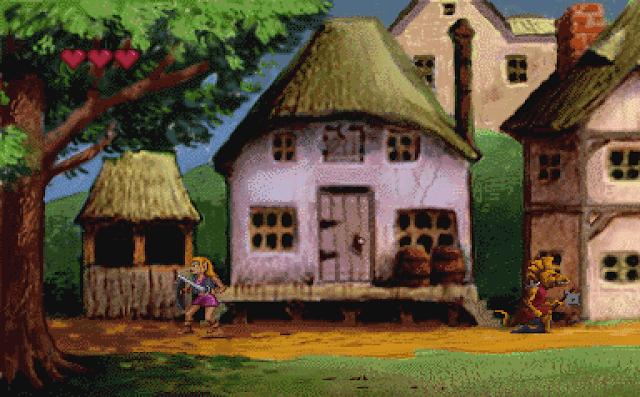 The third portion of the level houses a mystery box that leads to the level's second Green Star, pending you can capture a runaway rabbit in time. Then, there are a series of huge chasms that can only be crossed by jumping with the momentum of several boost pads. 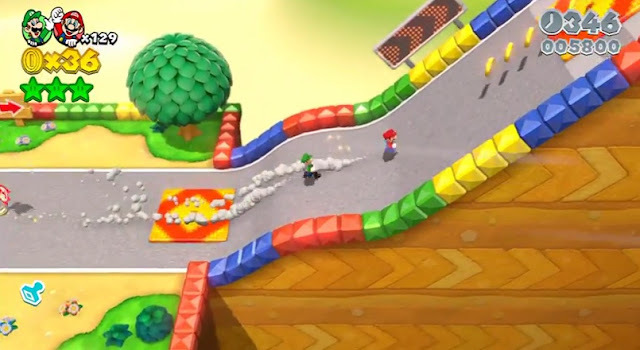 Mount Must Dash is just one of a multitude of creative levels within Super Mario 3D World. It's an example that hits on one's nostalgia while creating an immensely original level. You can bet we'll be seeing more levels from Super Mario 3D World and other Mario platformers in future installments of Best Levels in Gaming History. While reviews haven't been too kind to Star Fox Zero thanks to a hard to learn control scheme, once you've gotten it down (which isn't too terribly tough in all honesty), then you'll get to enjoy feeling like you're piloting a massive airborne craft like the Arwing. 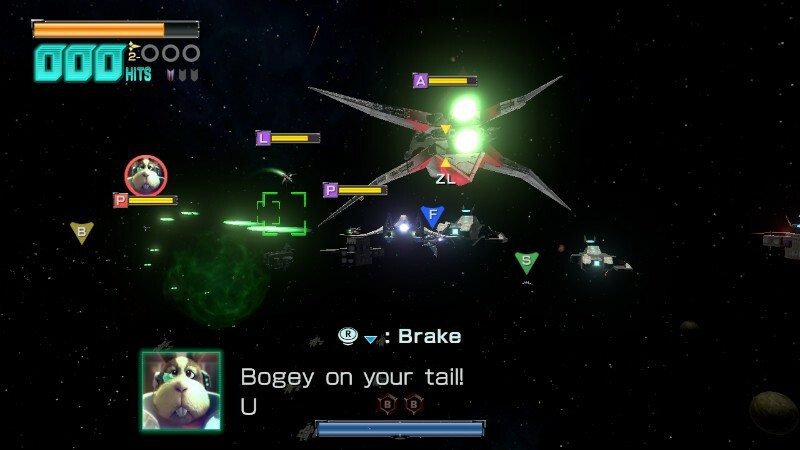 Sector Beta is one of my favorite missions in Star Fox Zero due to the gravitas of the entire situation. Team Star Fox teams up with Bill, a good friend of Fox that was seen in the Katina mission in Star Fox 64, as well as a major part of the Corneria army. The goal is to defend the airspace of Sector Beta through any means necessary, as this is the last line of defense against Andross's forces. 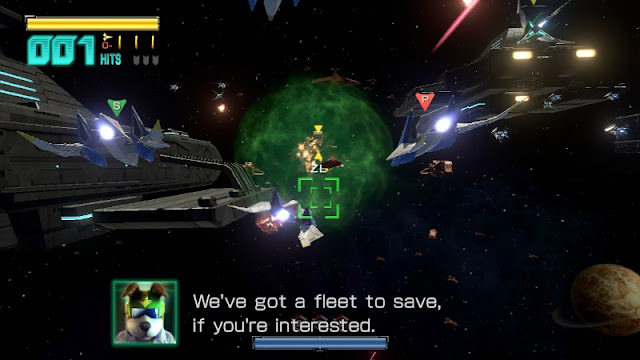 The mission begins with Team Star Fox going after four enemy cruisers that are firing at Corneria's fleet. While Bill, Peppy, Falco, and Slippy can take down the cruisers themselves after a while, it's to your benefit to shoot them down yourself to earn as many points as possible. Once the cruisers have been obliterated, the enemy warship Granby teleports into the fray. A massive laser beam is shot at the warship, but the Granby's seemingly impenetrable shield protects it completely from the laser onslaught. It's up to you to find a way through the shield before the Granby destroys the Cornerian army's fleet with its own assault. This is done by waiting until the Granby shoots out a laser of its own, which in turn opens up a hole for your Arwing to slip through, right inside the enemy shield. Then, you turn into the Walker form of the Arwing to hack into a terminal on the back deck of the Granby. This clears a shield that leads directly inside the Granby, leading you to eliminate the Granby's shield by destroying three power cores. Now, it's a quick escape from the Granby before the Cornerian fleet fires a gigantic laser at the Granby. You definitely don't want to be inside the vessel as it's getting obliterated. Thus, if you escape in time, you can see the Granby get blown to bits. However, that's not the end of the mission. Star Wolf enters into the picture, ready to shoot down Team Star Fox. Thus, an incredibly fun showdown and dogfight against Star Wolf begins, really showing how the dual screened approach of the game is put to good use. 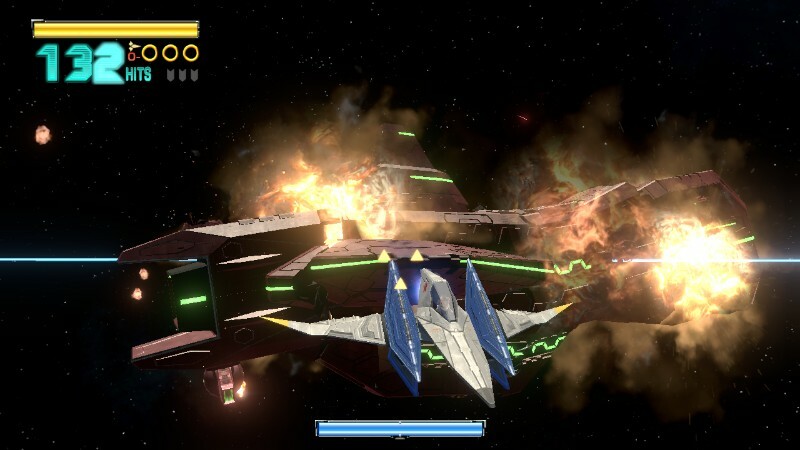 There's nothing like being able to look one way in the Arwing while using the GamePad to aim to the Arwing's side to blast away at a target that you otherwise wouldn't be able to fire at. Pending on if you can shoot down Wolf before he takes down Peppy, the branching path either takes you to Fortuna to resume your mission, or it takes you to Titania to rescue the eldest member of the Star Fox team. Sector Beta incorporates a grand battle in outer space that is an absolute blast to play through, initiating incredible dogfights against enemy craft. I enjoy it so much that I've been going back to it long after I completed everything in the mission. I've been playing it a bunch just for the fun of it. 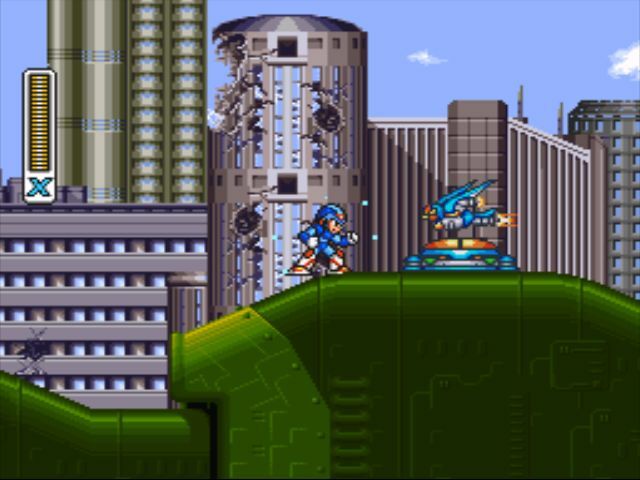 Mega Man X2's Wheel Gator possesses a stage that takes place on a giant dinosaur tank, moving through a crowded city space, bulldozing a path directly through its heart. The level has a lovely progression from day at its beginning to leaving the innards of the tank to be greeted by a dusk sky. Throw in the ability to enter some Ride Armor at the bottom of the tank to crush enemies in X's way, hovering platforms that take X across the insides of the tank as well as over precarious pits of spikes, and you have a level that is pumps adrenaline through players' bodies. Wheel Gator's stage also houses an upgrade to X's X-Buster, granting him a much more powerful shot to tear into foes. This is acquired through a Dr. Light capsule near the beginning of the stage where X first enters into the inside of Wheel Gator's massive machine of destruction. Wheel Gator himself tends to hide inside what appears to be flowing oil (at least I hope that's what it is), jumping out to put the bite into X. 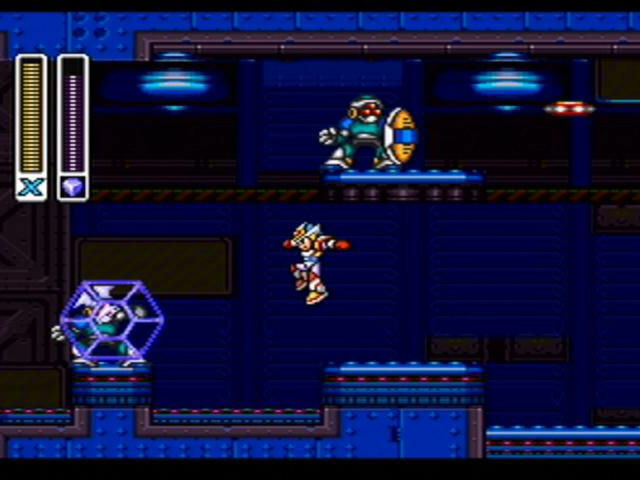 With Wire Sponge's special weapon, Wheel Gator can be made to think twice about ever trying to have a taste of Mega Man X.
Treasure's Gunstar Heroes is considered, well, a treasure in the action genre. It's a high octane roller coaster with exhilarating boss battles and intense gameplay. Everything players have done has led up to the final levels, one of the most impressive and creative in the Genesis lineup of games. 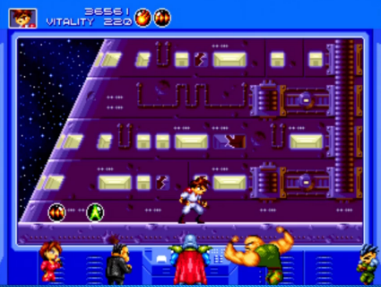 The final levels start with a shoot-em-up segment, having players pilot a spaceship that in comparison to the big bad's space base looks like a speck of dust. 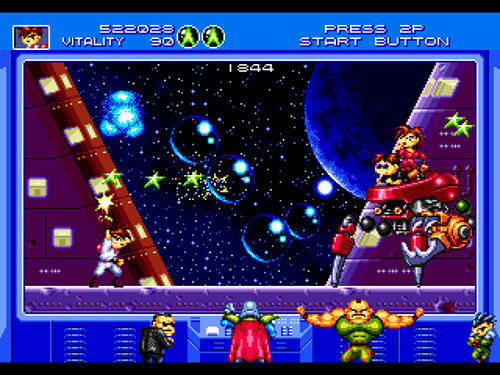 Through careful piloting of the spaceship, blasting away foes and dodging asteroids, eventually players wind up at an intergalactic rematch with Seven Force, a boss from a previous stage. 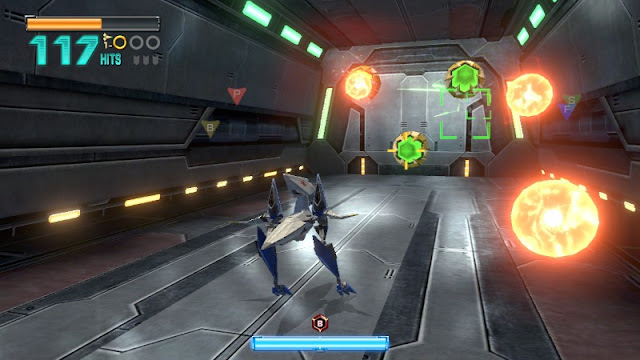 However, this time it's a shoot-em-up boss battle, having Seven Force do its trademark shifting between its seven forms such as gun to try to take players out before they can touch down on the enemy base. Once players have arrived at the base, what follows is a boss rush. However, this is a bit clever as you can see the bad guys watching you on a massive monitor. Essentially, you're watching yourself on the bad guys' screen on your TV screen. It's very meta, as the kids say. Each time a boss has been defeated, you can see one of the bad guys watching on the monitor prepare themselves for the next encounter, exiting the room to get ready to take players on. Soon, after defeating every other enemy besides the commander of the bad guys, players exit the view of the monitor and enter the actual room where the bad guys had been watching the action. This is where the penultimate showdown happens before the final battle occurs. The final duo of levels are highly enjoyable and entertaining, showing impressive creativity. lots of intense action, and massive amounts of fun. Now, I have the urge to replay Gunstar Heroes for the umpteenth time! Thanks, Best Levels in Gaming History!